Post your Japan’s Shopping Photos on the contest site. 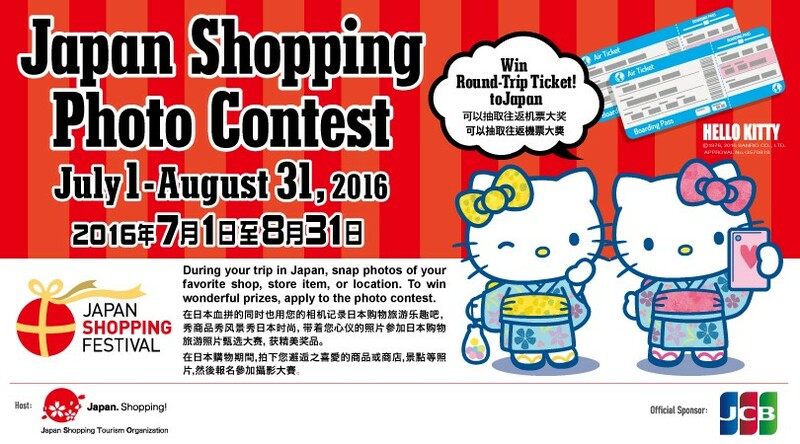 Snap your shopping in Japan and join the contest. Photos you took what you bought; shop you visited, your smile with shopping in Japan and other your memories in Japan. ※Photos must be taken in Japan. ※This contest is only for foreign travelers to Japan. Winners will be selected by member of Japan Shopping Tourism Organization. Winners will be contacted in October 2016. Please note that only winning nominations will be contacted. All entrants accept the decision of the jury is final. Presented by Japan Shopping Tourism Organization.